Due to continued expansion and growth ProHEALTH Medical Management LLC is searching for talented cytotechnologists to join our laboratory team. We are seeking cytotechnologists up for the challenge of engaging in the full practice of cytotechnology. • Successfully perform rapid onsite evaluation (ROSE) of surgical needle core biopsies, fine needle aspiration biopsies (FNA), etc as apart of this task cytotechnologists will be responsible for collection and filing of clinical information, preparation and triaging of cellular fresh tissue / fluid material. • Successfully comply with and follow standard anatomic pathology laboratory policies and procedures. • Prepares microscopic slides from specimens of human cells. • Monitors stains and examines smears under a microscope to evaluate specimen quality and recommends acceptance or rejection to the pathologist. • Classifies and distinguish abnormalities in the color, shape, or size of cellular components and associated tissue elements. • Enters data from the analysis of medical test and clinical results into the laboratory information system (LIS). • Complies with relevant anatomic pathology policies, procedures and regulations as specified with but not limited to New York State Department of Health (NYSDOH) and the College of American Pathologists (CAP). • New York State certified / licensed cytotechnologists. We currently have an excellent opportunity for a histotechnician/pathology assistant to assist the pathologist in the preparation and performance of all gross surgical examinations. You must demonstrate the competency to appropriately access all surgical specimens and describe gross anatomic features and take samples for microscopic examination. You will also provide guidance and assistance to Pathology residents and Forensic Pathology Assistant in carrying out their function in the Gross Pathology area and the morgue and assist in the training of Pathology residents by providing guidance in the preparation of Gross surgical specimens for dissection, selection and preparation of autopsied material, general maintenance of equipment in Histology and the morgue. Carolinas Pathology Group (CPG) has been providing precise and timely subspecialty pathology services to the Carolinas region since 1971. CPG offers the expertise of over 50 healthcare professionals who provide comprehensive anatomic, clinical and molecular pathology services to 5 health systems, 2 large cancer centers, and 12 individual hospitals in the Carolinas as well as hundreds of group practices across the nation. CPG seeks a full-time Pathologists' Assistant to join our group. The current staff consists of 6 full-time Pathologists' Assistants, 1 full-time Gross Technician and 2 part-time Biopsy Technicians. Annual workload includes approximately 83,000 surgical cases and 150 autopsies. This role will also be expected assist with conference preparation as needed. Carolinas Pathology Group offers competitive compensation and a comprehensive benefits package. Our benefits package currently includes: medical, dental and vision coverages, company paid life and disability insurance, 401k plan, generous PTO, employee assistance and more. The benefits described here provide a basic outline of the company benefits offered to our employees. Summary plan documents of the current benefit plans are provided upon hire and are subject to change. Performs gross description and dissection of human tissue, surgical specimens and performs postmortem exams. Must utilize critical and independent judgement in decision-making and problem-solving. Works under the direction and supervision of a Pathologist. This position is a full time position of 80 hours per two week pay period working between the hours of 8:00 am and 5:00 pm. No on-call, weekend or holiday requirements. Applicant should possess an HHS (Health and Human Services) approved laboratory certification as a Pathologists' Assistant or applicant must be registry eligible. Registry eligible candidates must successfully complete the Board of Registry examination within 12 months of employment. Master's Degree in Pathologists' Assistant required. In compliance with federal law requiring employers to verify new employees' U.S. employment eligibility, Sanford participates in E-Verify. ALTOONA, PENNSYLVANIA (USA). 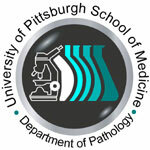 Fill in pathology assistant needed for grossing surgical specimens at UPMC Altoona, PA.
• Gross description and dissection of surgical specimens including biopsies and small/large specimens. • Assure proper specimen handling and processing. Knowledge of histology computer systems a plus. Very good compensation, travel expenses and housing included. DANVILLE, PENNSYLVANIA (USA). The Diagnostic Medicine Institute at Geisinger is paving the way for a future that integrates genomics into the everyday practice of laboratory medicine, for which genetic sequencing is a new standard of care. The Molecular Genomic Technology Development Specialist works in the Division of Molecular and microbial Diagnostics and Development to assist the Doctoral Directors in assay design, instrument scripting, production processes, method verification, and validation controls. He/she will be able to adjust assay parameters to optimize instruments and assay precision, accuracy, and cost-benefit. Performs duties to provide the highest level of patient care and maximize patient satisfaction. Promotes standardization through collaboration and coordination within the specialty of laboratory medicine and with interdisciplinary members of the healthcare team. Directly accountable for scientific responsibilities, reporting to the Molecular Doctoral Director(s). Works collaboratively with Analytical Specialists and the entire laboratory team. Provides leadership and direction to ensure effective planning, oversight and timely coordination and completion of projects and duties. Assists to perform clinical assessments to collect, validate, and analyze data required to document laboratory impact. Accountable for adherence to all policies and procedures and for maintaining current knowledge of policies from CLIA and other regulatory agencies and laboratory guidance documents. • Master's Degree in Life or Health Science from an accredited program or Master's degree in related field with courses in relevant field is required. • Minimum two (2) years' experience in molecular genetic/genomic technologies including next generation sequencing analysis and interpretive strategies is required. • Certification or eligibility as a Technologist in Molecular Biology through examination by the American Society for Clinical Pathologists [MB (ASCP)] is required. • Demonstration of peer-reviewed publications with independent contributions preferred. • Experience with bioinformatics tools (R, Python) and databases (NCBI, COSMIC, Ensemble, IGV) preferred.